In searching for information on Combat Connections, I found a lot of good information but it was scattered all over the place. Much of this information was retrieved from various threads and compiled here for a complete storyline. If you see your information here and would prefer it not be used, please send me a private message. Much of the information was provided by Smiley, an original SWARM member. A big thanks goes out to him. Please notify if there is any incorrect information or omissions. 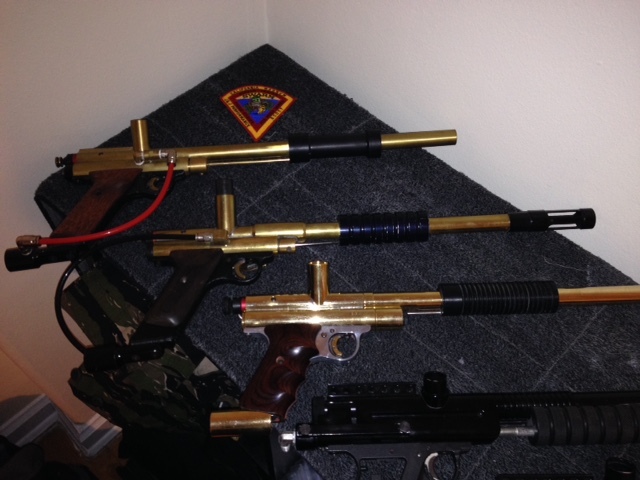 Combat Connection started off by doing custom gun upgrades by putting long brass barrels on PGP's, PMI 1's and 2's. The Combat Connection sponsored team (SWARM, picture below) was based out of A.S.I. 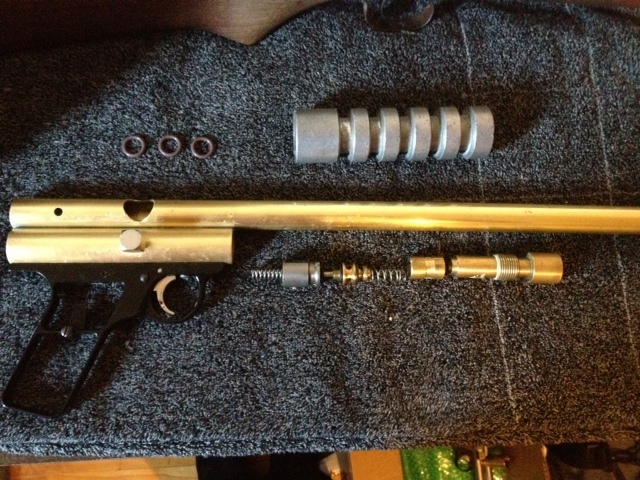 (Adult Simulations Inc, now Fox River Games) and used combat connections modified Sheridans that had upgraded longer barrels, 68 magnum feed blocks and delrin pumps (Picture below). Kent Carrol, the future creator of the Enforcers, was on team SWARM. 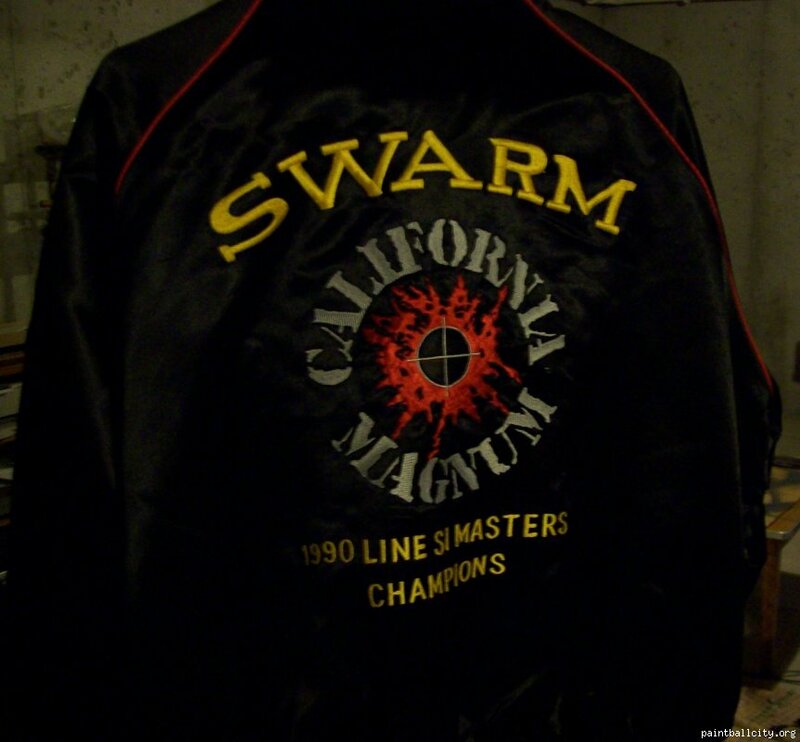 Team SWARM won the Line SI masters in 1990 (picture below), albeit not using Combat Connections markers but Automags. The owner of Combat Connection, Bob Howerton passed away before the Enforcer was actually produced. His wife and 2 daughters kept the store going and put up the capitol for the equipment and materials to build the Enforcer with Kent Carrol doing most of the design and machining, while running the field on weekends. Kent's field rental guns were Sheridans, mostly PMI 1's and 2's, tough guns but hard to maintain the valve seals and adjust the FPS (on back bottle guns). Kent designed the Enforcer (1988-1990) more as a better rental gun, or as an upgraded barrel/body assembly but that still used standard Sheridan parts (grip frame, valve, hammer, and bolts). 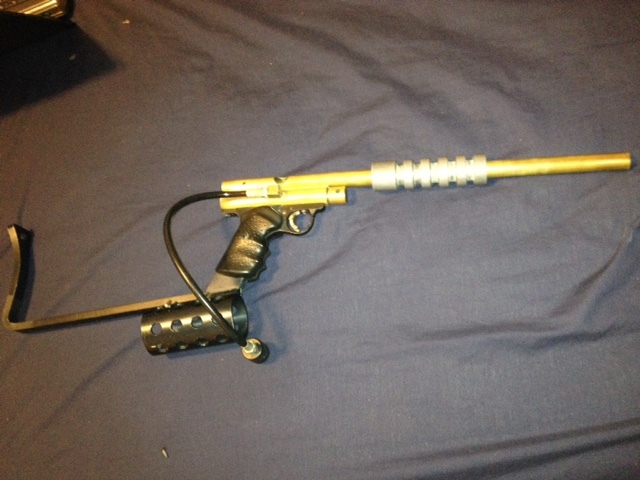 Here is a picture of the prototype Enforcer which passed through Carters hands. One of the defining features on the Enforcer is that the valve is accessed from the front (see below). This allows for easy removal of the valve without the use of tools and is a huge upgrade over the conventional Sheridan system (which requires a valve tool). Another defining feature is that the bolts were often red Cooper-T bolts. The Enforcers were entirely scratch made bodies and did not use existing Sheridan bodies. 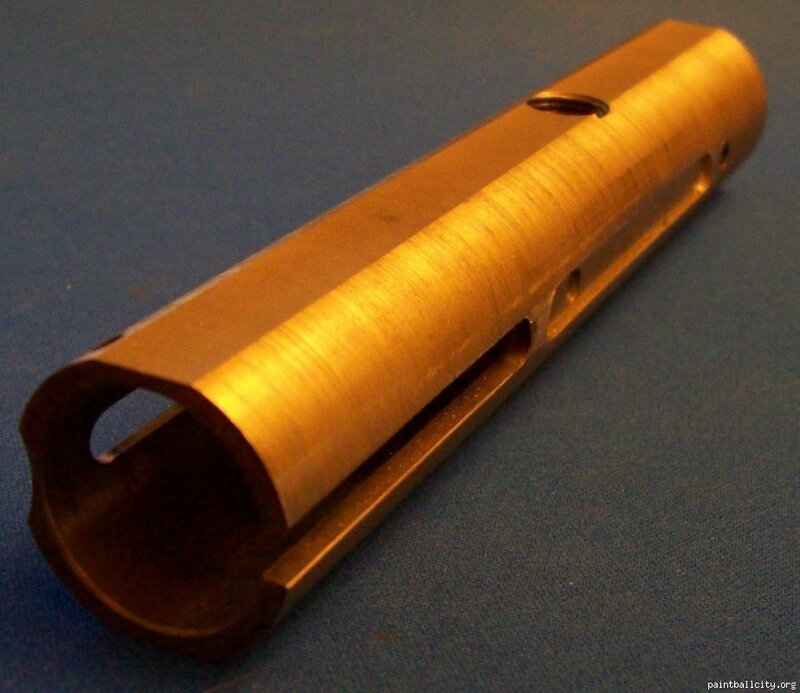 The body was machined from 1" brass bar stock vs 7/8" thinwall tube used on PMI's giving it a much heavier wall thickness so it could be side tapped without soldering.the transfer port was 1/4" (picture below) . 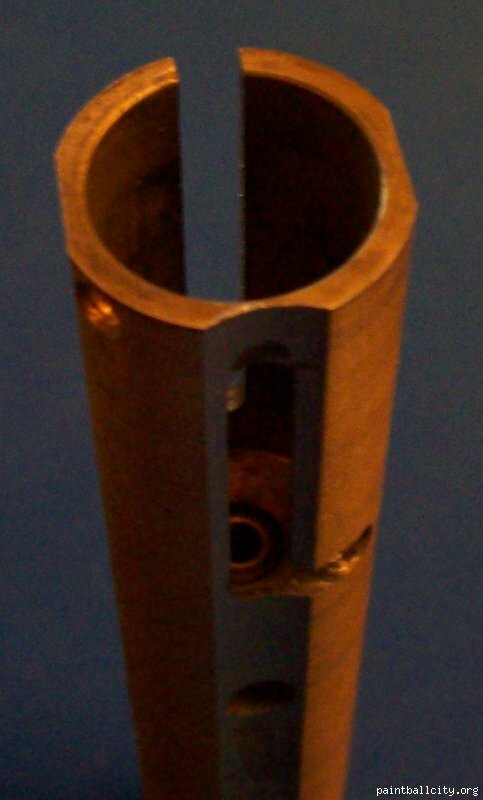 Because the bodies had different dimensions than standard sheridans, the feedblocks that Combat Connections used were different than the the feedblocks found on the PMI magnum. 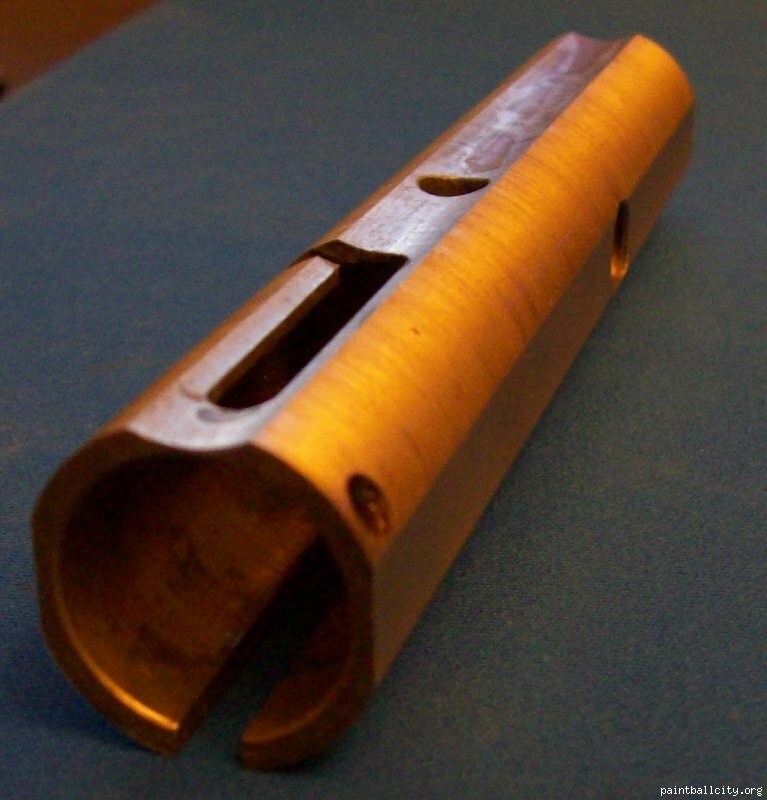 The barrels were soldered in a 3/8" wide U shape groove milled into the thick body so the large port was sealed inside the joint without any extra biuldup of solder on the outside of the gun. They had quick strip bolt notches. The pump handles vary and you can see several different versions below. The field rental gun pumps were bare aluminum, some team guns were black or white delrin and the retail pumps were black anodized aluminum. Another area that shows variation is the bolt removal system. Both SWARM and Combat Connections markers can be found either with a neat top cut out (pictured below) or traditional quick strip systems. It is interesting to note that the top cut out bolt removal system is something that was incorporated into the NPS Stalker which I recall Kent Carrol being involved in. 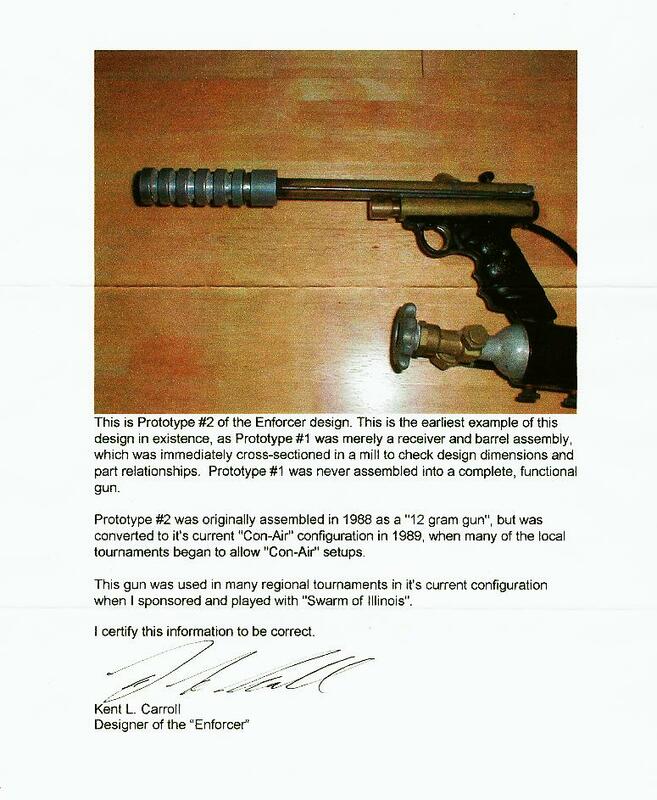 Kent Carrol was primarily involved with what are known today as SWARM guns, Enforcer I and II's. 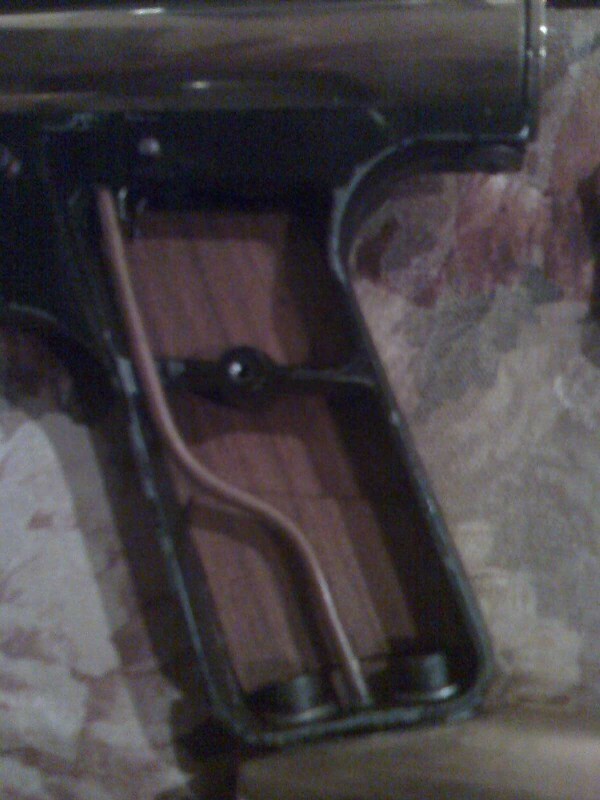 The highly rare Enforcer III's, which sports a removal barrel and air through grip (pictures below), were not actually made by Combat Connection or Kent Carrol. Apparently, Lou from Gramps and Grizzly, knew Bob Howerton before he passed away. At some point, Lou began producing the Enforcer as well. Lou estimated that approximately 2000 Enforcer’s were built with approximately 150-200 of these being the Enforcer III variant. Lyall Morton, who owned a paintball field in Wellington New Zealand (which Gramps was heavily involved in). claims that he was granted permission to produce the Enforcer III and actually made approximately 30-40 of them himself(many of which he claims were returned to the United States by Lou). 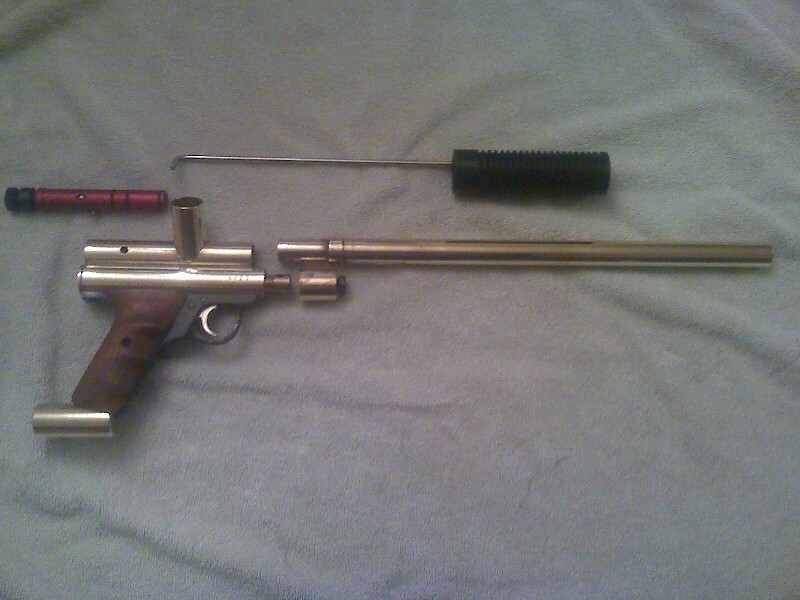 The J and J Sidewinder (lacks the valve removal knob at the front of the gun), while similar in appearance to the Enforcers is actually a different marker. 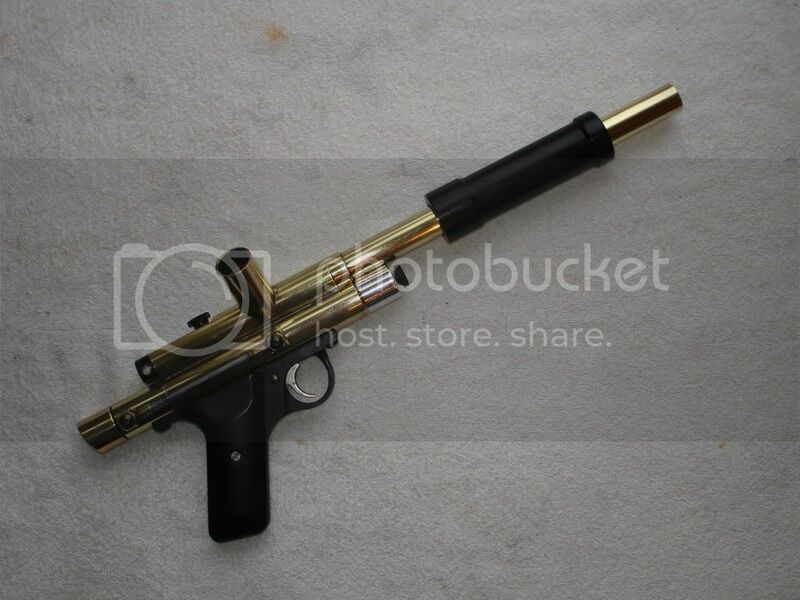 Information on that gun can be found here: J&J Sheridan based Sidewinder pump - Old News Paintball History. J and J Sidewinders are considerably more rare than Enforcers, I have only seen reference to 2. An interesting point that is pure conjecture and may be nothing - my patch from team SWARM lists J and J Performance as a sponsor. Given the similarities between the Enforcer and the Sidewinder and the affiliation with SWARM, one can’t help but wonder what exactly happened there. There was also rumour in one thread that Jessica Sparks may be in possession of a semi auto Enforcer. 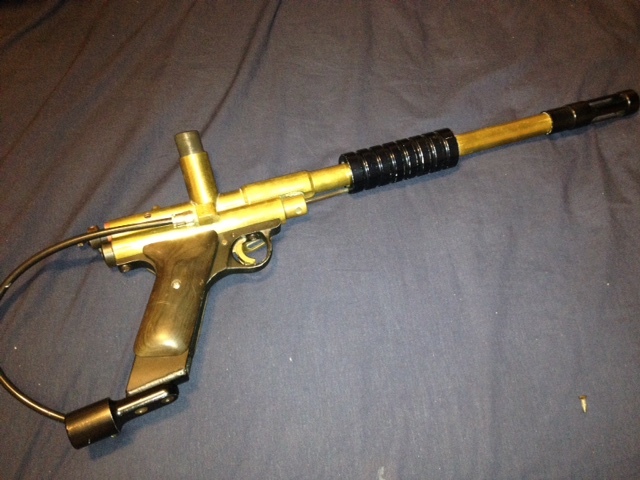 Part of the reason why these are among my favourite paintball markers is because each of them is unique and has its own “personality”. Make no mistake, these guns were used, and heavily at that. Most of the Combat Connection guns I have come across most certainly show signs of significant use. This only adds to the story and character of these guns! Here is my collection! Please post up any additional information or pictures you may have on the Combat Connections/SWARM. Last edited by 300z; 02-22-2015 at 08:48 PM. Nice write-up! Thanks for compiling it. 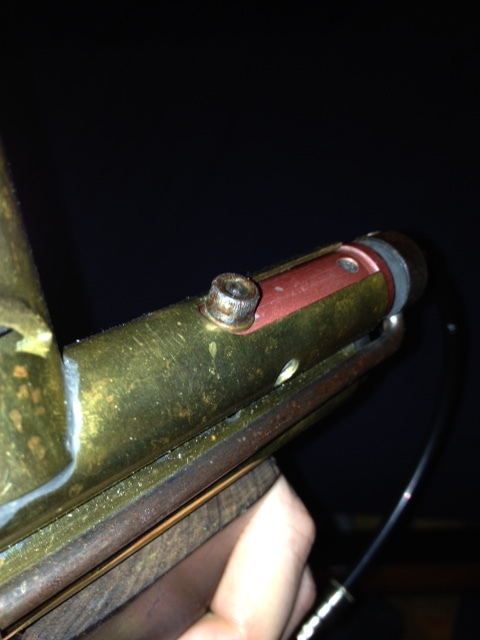 The top slot and allen head screw was a rental mod for ease of cleaning the field guns. As it required a tool to remove the bolt it would not be good for tournament use. I don't believe Kent ever did a semi auto Enforcer.The bare slabside body is one I modified, they were all round and heavy originally. 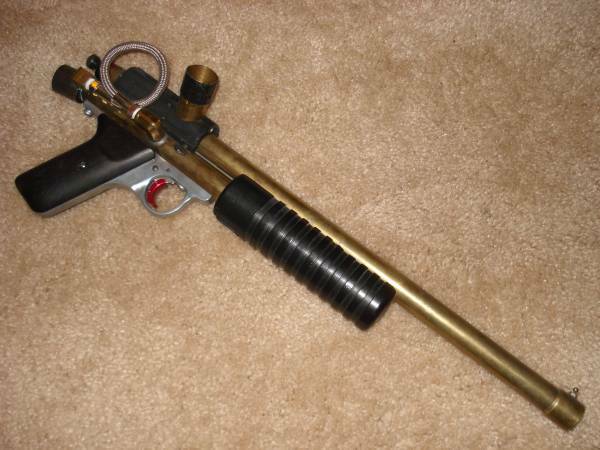 The Swarm guns were long barrel modded Sheridan lowers and used the 68 Magnum feedblocks, the Enforcers were scratch built with the thicker walled lowers so the 68 Magnum feed blocks would not fit so they have non-Sheridan feed blocks. Enforcers came with Cooper-T red bolts since they were scratch built there were no bolts to reuse, and the PMI 1 bolts were lacking anyway. 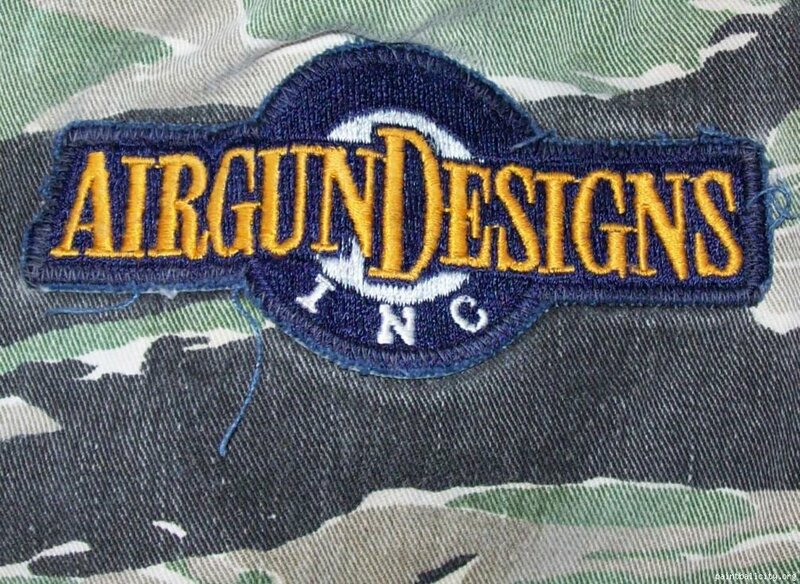 That patch must be later version or a trading patch perhaps. 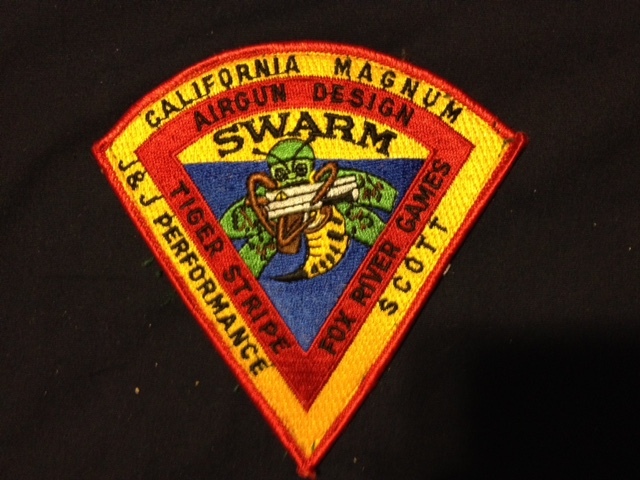 Swarm did not hand out the team patches to non-members.The sponsors were not on the original patches. 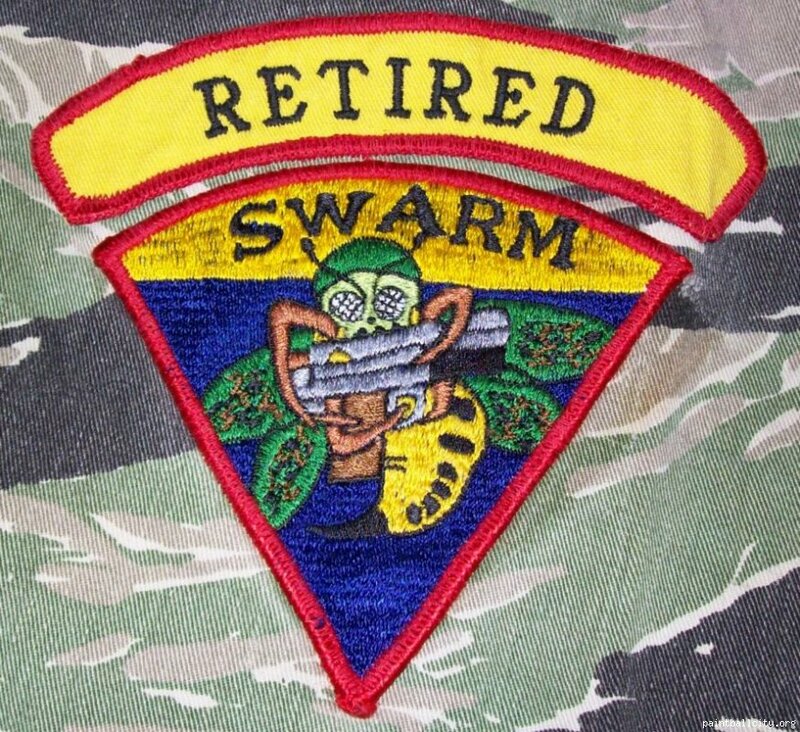 Team members got 1 patch per uniform set and added a "retired" arc above the patch when leaving active status. Last edited by Smiley; 12-23-2014 at 09:51 PM. Great write up and very interesting material here. 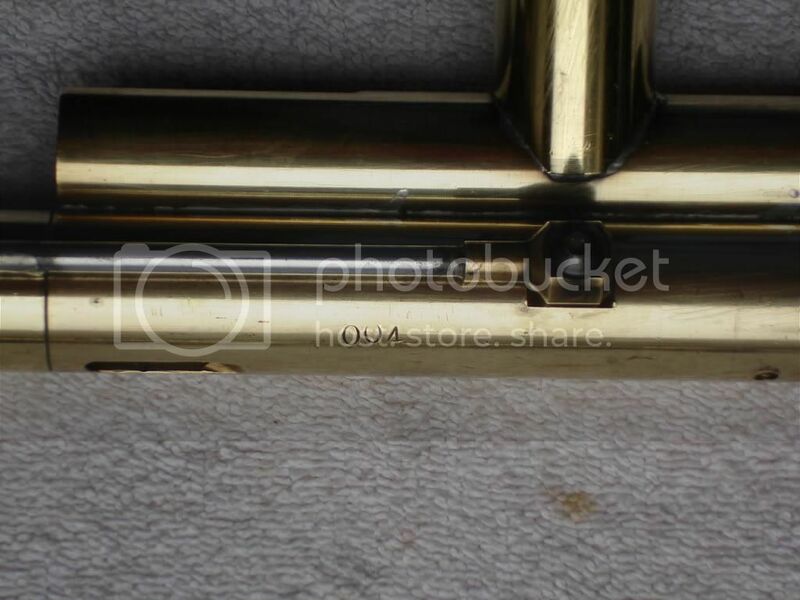 These are some of the smoothest pieces of brass you can use when running right. 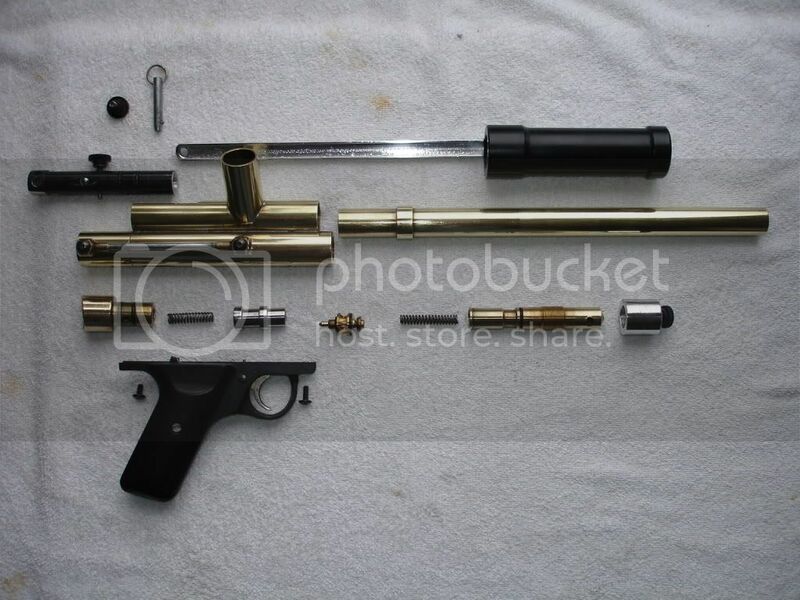 I love the way they were made, the access to the valve, the removable barrel set up and the air through line. I can see it being easy to solder line to the body but how did he do the asa attachment. this is mine. i got it from Forest Brown (original owner of Challenge Park and Farside) who bought it from a Swarm player in 90? i was told this was a team marker, #4 of ten. the pump, pump arm and bolt i do not believe are original. the pump is delrin. Bacci will eventually have an article up on these topics also. I dont want to ruin the surprise but all I will say is there is definitely more on these topics. Im really looking forward to reading his articles. Edit: Ok maybe enforcer I since it has a feed block and not a soldered feed neck. I honestly can barely stand most of the mods here, and don't even get me started on the f***ing Canadian ones. Asking for brass on MCB is like going to the grocery and saying "Looking for food, you guys have any"? A fantastic write-up. Thanks for the post. I have three CC guns. Love them. This is great stuff. Thanks for the research. Now I know what I have. I have been trying to figure it out. I was gonna have Palmer s make it into a Stroker. Now I will just have them clean and rebuild Her. be. We were not related by blood, but we were brothers nevertheless...not in some sort of Hollywood way, but in a real life "no ****" kinda way.